The Physician formulated Anti Wrinkle Beauty Pillow case reduces sleep lines and facial wrinkles. Heavenly Soft. The "Fabric For Beautiful Skin"
As we age, our skin loses the ability to Lock in Moisture. Moisture Loss is the Leading Cause of Facial Wrinkles. STUDIES NOW PROVE THAT SLEEP WRINKLES DEVELOP FROM OUR PILLOWCASE, NOT OUR PILLOWS. As we sleep, water leaves our skin and is absorbed by our pillowcase, then sticks to our skin creating a downward facial stretching action which weakens the dermal collagen. Sleeping on a DreamSkin facial pillow case will reduce sleeping wrinkles, facial wrinkles and sleep lines by 50%. IT’S NOT A SATIN OR SILK PILLOWCASE. It’s Advanced JuveTex Technology Fabric, a revolutionary textile, scientifically formulated by an Award Winning Skin Physiologist, Scientist and Physician. Several years ago our lab was first to reveal the fact that cotton threads dry out your face. We also made the initial groundbreaking discovery that specific threads are HYDROPHOBIC and can hydrate the skin. Therefore, the first rejuvenating skin care pillowcase, DreamSkin, was created. Because of the scientifically formulated proprietary thread type and combination, weave pattern and design, tests proved DREAMSKIN’S FACIAL PILLOWCASE WORKS LIKE A HIGH END COSMETIC MOISTURIZER. The unique and luxurious 22,000 filaments per inch rejuvenating fabric FEELS Super soft and cushioning and helps to erase facial wrinkles while rebuilding collagen in your skin. 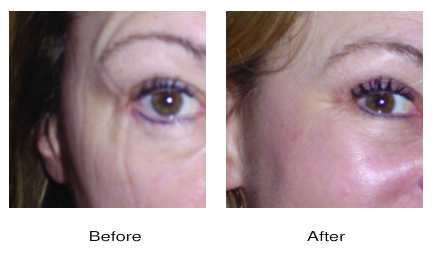 DO YOU WAKE UP EVERY MORNING WITH UNATTRACTIVE LINES AND SLEEP WRINKLES ETCHED INTO YOUR FACE? 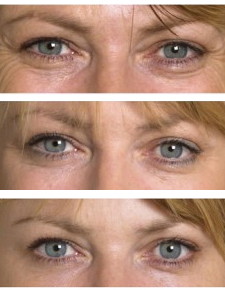 Sleep Wrinkles can eventually turn into PERMANENT wrinkles. In comparison fabric studies, cotton, satin and silk pillowcases DRAINED MORE moisture from the skin. This leaves your skin dry resulting in sleep lines and facial wrinkles. SLEEP WRINKLES, MEET YOUR MATCH! DreamSkin’s anti-wrinkle pillowcase acts like a NATURAL MOISTURIZER by inhibiting moisture loss from the skin. DreamSkin Looks like a Pillowcase, but Works like a Moisturizer for your Skin and Hair. But WITHOUT creams, chemicals, copper, dyes or fragrances! Again, specific threads are hydrophobic. The fibers do the job to NATURALLY hydrate your skin. The moisturizing capabilities are permanent–they never wash out! JUST CHANGE YOUR PILLOWCASE! Moisture Loss is the leading cause of facial wrinkles. Your skin loses almost TWICE as much moisture at night and night creams only last a few hours. As we age our HAIR also loses more moisture. DreamSkin’s advanced moisture technology fabric is the BEST solution because it holds moisture in your skin and hair All Night Long. Independent clinical 30 day studies prove that DreamSkin will improve your skin’s overall appearance by minimizing the signs of aging and reduce sleep lines . *After using the pillowcase for over a month now, I can say that I am getting great results. *I have been sleeping on the DreamSkin pillowcase for several months and am pleased to report that the lines on my sun drenched face have diminished remarkably.